It's not often I pick out such neutral tones as part of my 'today I'm loving' column but lately I'm finding these to be far more appealing than bright colours. Maybe it's just because I'm craving calm amongst the chaos, or possibly reflecting the paint colours I'm working with this week - wintry white and cool grey? 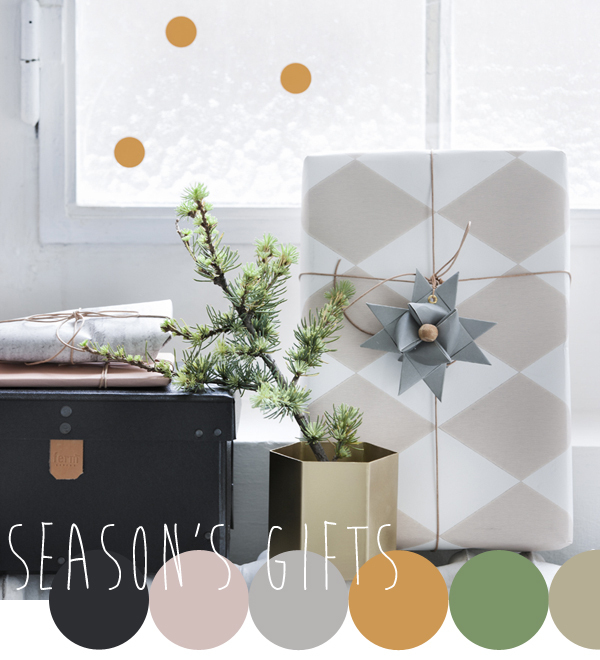 Either way the festive styling over at Ferm Living is totally pushing my buttons! 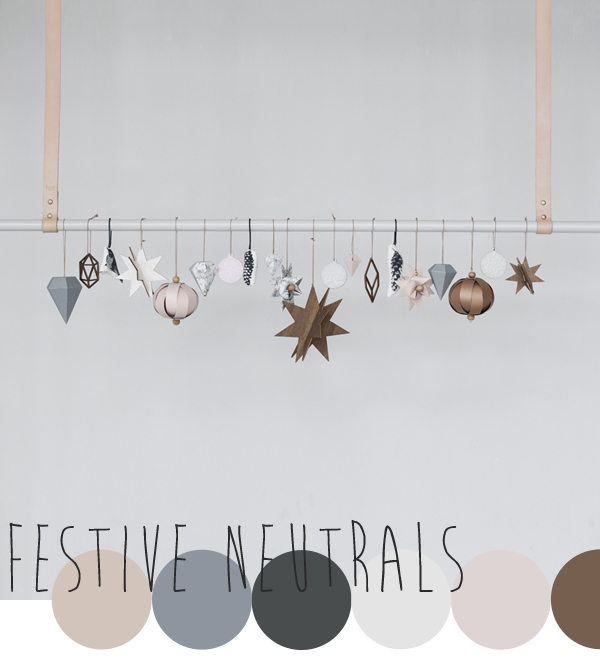 All those cool greys with tiny hints of warm pink, ochre and brown are just lovely. I love the black details too, especially on this amazing Christmas tree - so non traditional and so perfectly styled! 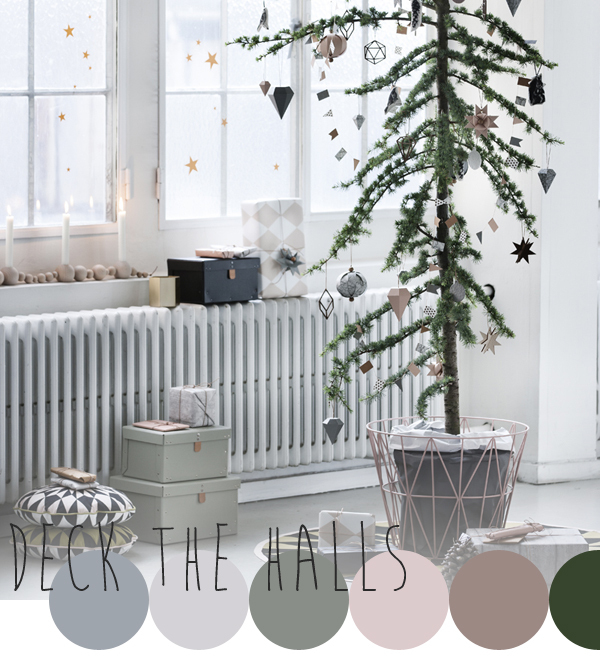 Once I get my studio back to normal in a week or so, it will be in for a wee spot of festive decorating and this will definitely be my inspiration! Loving these magical calming shades ! Sophisticated and ever so lovely at the same time.